Who Owns a Story? is an essay by Katy Waldman in The New Yorker about the experience of reviewing a book, Trinity by Louisa Hall, and finding that an essay she wrote about her anorexia and family [previously] has been mined by the author. When most people hear "sand," they think of fine grains of white to tan, but the word "sand" is actually used for a "particle size" rather than for a "material." Sand is a loose, granular material with particles that range in size between 1/16 millimeter and 2 millimeters in diameter. And that's where the similarities end, and the diversity begins. Sand isn't a boring material if you know what you are looking at! (Geology.com - sand grains from around the world) Hawai'i alone has at least , black, green and whitish sand, while Business Insider lists pink, red, orange, violet, black, grey and white sands found around the world. But if you're storing bottles of sand at home, don't confuse them with your different colored salts (Wide Open Eats) and peppercorns (Food Republic). Why Do We Get Columbine So Wrong? And how should the media cover acts of mass violence? (Ask A Mortician) , 13:48 cw: discussion of suicide, mass shootings. Why does the exhaustive biographer overlook Lyndon Johnson’s virulent misogyny? Remarkably, Caro neglects to mention how LBJ repeatedly invaded the physical boundaries of his female employees by groping them. This curious omission by America’s preeminent biographer, whose work is otherwise so thorough and sensitive, points to the depth of the problem that the #MeToo movement is trying to redress—that the sexual violence endured by generations of working women has long been nearly completely buried. 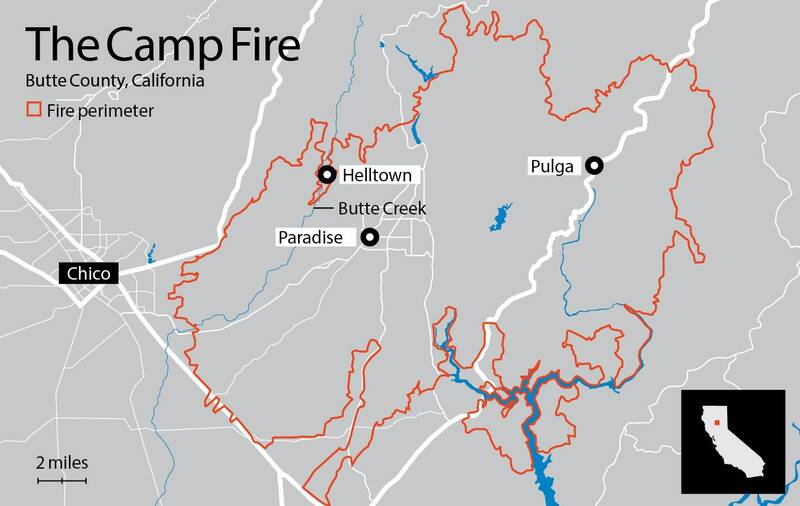 The November 2018 Camp Fire in northern California destroyed the town of Paradise and would have consumed the nearby, ironically named Helltown except for a few brave homeowners who went to heroic lenghts to protect a one mile stretch of road as the fire crept in from all sides. This is the story of the hotshots of Helltown. They have a history. And, with the right tools and patience, they can be made at home. (TLDR version) Happy Easter.